Boston has strong fundamentals and looks for increased rent growth in 2018. Boston averaged between 11% and 12% office vacancy in 2017. 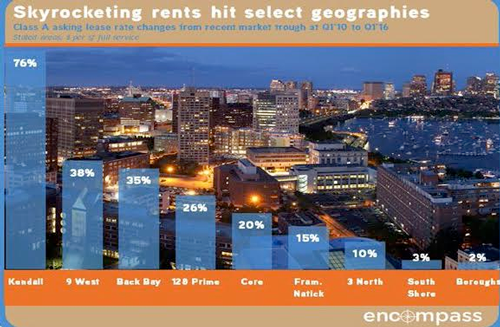 Desirable tech submarkets are priced at a premium here, while emerging submarkets often offer discounts–the overall average asking rent in tech submarkets is priced at a 16% premium in East Cambridge (where inventory has decreased). The Boston market also retained positive absorption, as vacancy dropped 0.4 percentage points to 12.0 percent last year. Large tenant move-ins have driven the 2017 Boston CBD market, with major shifts including Natixis Global Asset Management’s move into its new 150,000-square-foot headquarters at 888 Boylston St. in the Back Bay. 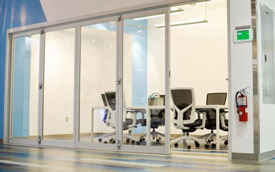 Mass Innovation Labs; Image Courtesy of Crains. Small to mid-sized tenants need to seek the value play by looking along the Red Line corridor in Downtown Crossing, with rents ranging from the high $20’s to mid-$40’s PSF. You can read more on Crains. 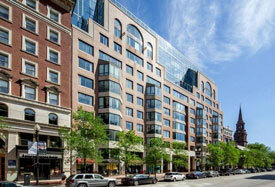 0	Cambridge Office Building Slated for 145 Broadway in Kendall Sq. 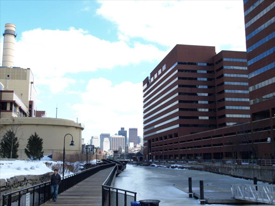 The E. Cambridge office market will continue to grow with a 454,000 square-foot project from Boston Properties. 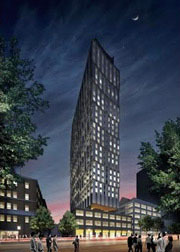 Currently that market is just under 12M Square-feet of Class A project with vacancy under 5%. Additional details are available on the Boston Globe website. They might be driven in Singapore, but a small start-up at 1 Broadway in East Cambridge, nuTonomy Inc., has designed the control software to facilitates self-driving taxi cabs. 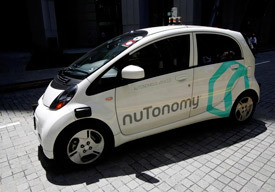 NuTonomy is providing the control software guiding the six taxicabs that debuted in Singapore, modified electric cars from French automaker Renault and Japan’s Mitsubishi. Each vehicle uses lasers and cameras to observe its surroundings and steer through Singapore’s business district. An engineer from nuTonomy was in the front seat, ready to take control if necessary, and a researcher in the rear monitored the cars’ computers. In short, the Office market in greater Boston has rents continuing to surge upward with fewer available options. Kendall Square and select Cambridge neighborhoods lead the charge, with rents up 76% since 2010. Kendall has enjoyed the most dramatic surge in rents during the present economic boom, currently going into its seventh year, as local rents bottomed out in 2010 following the mortgage recession. Other areas benefitting from current dynamics include most urban areas as well as the Western suburbs, including 9 West, buoyed by changes in Needham. Vacancy remains at very low levels as 49,000 sf of positive absorption was balanced with 66,000 sf of new property completions, resulting in a slight vacancy uptick of 0.1 percent, to 5.5 percent. Did you know that Amazon’s Echo came from Cambridge? The voice recognition technology in Amazon’s Echo is a key focus of the company’s Cambridge office…The high-tech brains that make it work come from [Rohit] Prasad’s team. He runs Amazon’s speech science efforts from the company’s Kendall Square office, overseeing the scientists, engineers, and data specialists who make the Echo something you can talk to. The Echo is a critically acclaimed hit for Amazon. The canister-shaped device can turn on a smart TV, play your favorite album, or fetch the weather report, all by listening to your voice. And Amazon plans to add even more functions to its growing list. Lyft is on the move for a new office in Boston. CIC provided a good foothold to start the operation, but now a permanent home is in the cards according to Tyler George. 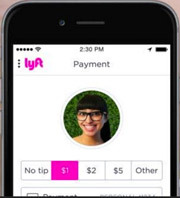 “We wanted to start at the CIC where we could integrate ourselves with a lot of really forward-thinking businesses in Kendall Square and Cambridge, but we wanted to have a permanent office to continue to grow our staff and have in-person support for our drivers,” [Lyft’s Boston General Manager Tyler George] said in an interview. “We want to be able to have a big enough space to hold events and parties for drivers and passengers,” he said. “It’ll be a significant piece of real estate.” Venture-backed Lyft was founded in 2012 and earlier this year landed another $1 billion from investors including General Motors Corp., valuing the company at $5.5 billion. 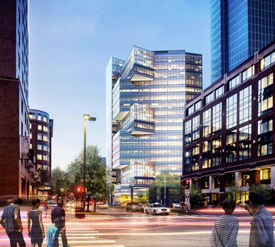 MIT has presented their update plan for Kendall Square in Cambridge. Kendal Square is currently one of the hottest office markets nationally with record rents for Class A & B office space. Major tenants include Microsoft and Google. Office rents continue to climb in East Cambridge in both Lab and Office with some of $80 per square foot.